On February 2, 1870, the hoax was exposed that had been presented as one of the greatest scientific discoveries in history: the petrified remains of an ancient three-metre-tall human. Looking at the photograph of the Cardiff Giant today, it is hard to believe that anyone could have seen anything different than what it really was, a simple plaster sculpture. But it would not be fair to attribute that credulity to the scientific ingenuity of the time without mentioning the role played in the fiasco by someone who was able to make people believe in the incredible: Phineas Taylor Barnum, the greatest showman in history and the “Prince of Humbug”, as he called himself. The fact of the matter is that he was a master in bringing discoveries and curiosities to the masses that seemed scientific, but in reality were not. The movie The Greatest Showman (2017), directed by Michael Gracey and starring Hugh Jackman, has resurrected the controversial figure of Barnum (5 July 1810 – 7 April 1891). This entrepreneur born in Bethel, Connecticut was the king of entertainment with his museum and his circus, which exhibited supposed prodigies of nature embellished with great advertising fanfare. But the sugar-coated Hollywood story that depicts Barnum as a hero who rescued freaks—people with physical deformities—from marginalization has been criticized. The most accepted version suggests that his interest was limited to exploiting them with no motivation other than profit, and without being bothered by his use of deception to present to the public as real that which science did not believe possible. An example was the first success he had in his career path. In 1835, he began his career as a showman by exhibiting Joice Heth, a blind and almost paralytic African American slave who he “rented” for $1,000 and who was billed as the former nanny of George Washington, age 161. When Heth died the following year, he held a public autopsy to check her age, which the surgeon estimated to be no more than 80. 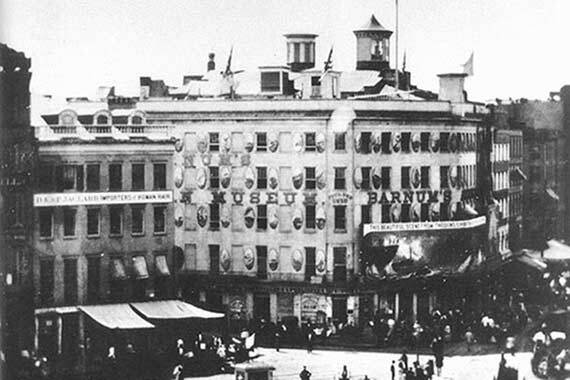 Barnum would claim that he had been tricked, but he had charged 50 cents to each of the 1,500 attendees of the spectacle where the guts of a corpse were opened. In 1841, he bought the American Museum in New York, where he would exhibit thousands of curiosities, many of them living people shown as monsters of nature. 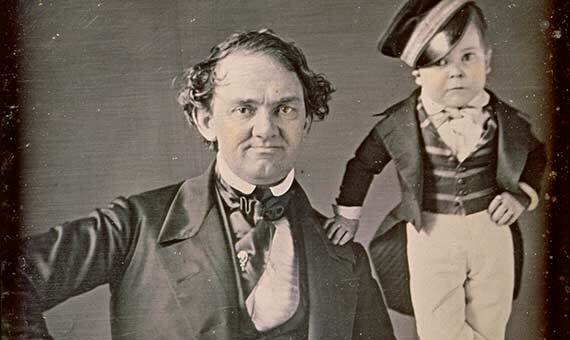 The most popular was Tom Thumb, “the smallest general in the world,” who suffered from dwarfism and whom Barnum recruited when he was only four years old. In 1869, the news spread that during an excavation on the farm of one William Newell, in Cardiff (New York), the remains of a stone giant had been unearthed. 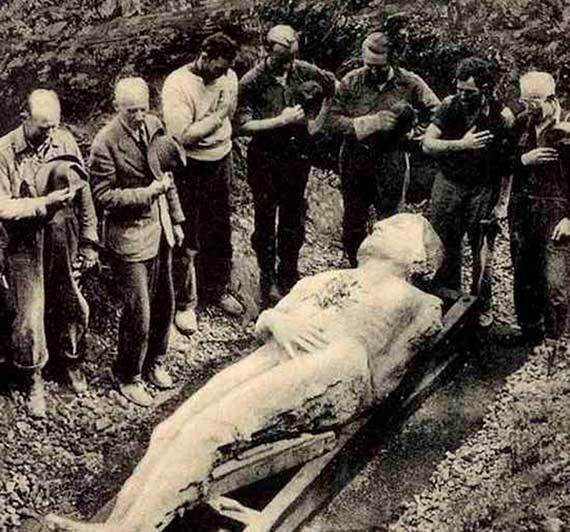 “Scientists were divided when it came to the Cardiff Giant. Was it a petrified man? An ancient statue? A hoax?” says Scott Tribble, author of A Colossal Hoax: The Giant from Cardiff That Fooled America (Rowman & Littlefield, 2008), in a conversation with OpenMind. But there were those who cared little about that discussion: “Barnum probably wouldn’t have worried too much about the Cardiff Giant’s authenticity,” says Tribbles. “I suspect that Barnum, the master humbugger, knew a good hoax when he saw one.” What really caught his attention was that thousands of people were paying 50 cents to see the giant. “Ultimately, he would have cared more about the show: whether the mystery was enough to bring the crowds in—and keep bringing them in,” adds Tribbles. Barnum put his offer on the table: $50,000. But the giant had already been sold by Newell and his cousin George Hull to a group of businessmen headed by David Hannum. When Hannum rejected Barnum’s offer, he opted for plan B: commission his own copy and announce it as the authentic giant. While it was not the only replica, only he was able to gather the crowds to turn even plaster into gold. Naturally, Hannum sued Barnum, but soon after, the Chicago Daily Tribune began to reveal the truth about the giant, after a confession from Hull. He had devised the hoax after arguing with a Methodist pastor who defended the literal interpretation of the Bible, including a verse from Genesis that spoke of ancient giants. Hull, a confirmed atheist, wanted to mock the pastor and, incidentally, earn some extra cash by carving a gypsum figure and burying it. Hannum’s lawsuit against Barnum was dismissed. 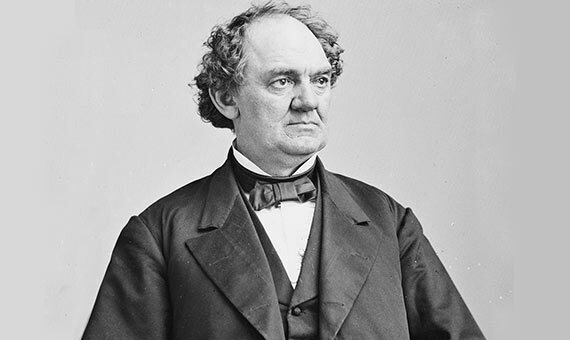 Until his death by a stroke in 1891, Barnum participated in numerous hoaxes, such as the herb that turned black people white, which he posited as a solution to slavery. No prodigy escaped his ambition: he offered $10,000 to journalist Dan De Quille for his “Traveling stones of Pahranagat Valley,” some supposedly magnetic stones able to arrange themselves into a clutch, “like a lot of eggs in a nest”; he wanted to buy the hydro-oxygen microscope, which enlarged objects 500,000 times and with which, together with a telescope, one could observe the insects on the Moon; he put a price of $50,000 on the capture of Champ, the American version of the Loch Ness monster. But interestingly, he also promoted pioneering inventions, such as the elevator and the automobile, everything that was able to amaze the public and fill the cash box. Though not the only one, he was perhaps the best of a generation that lived off pseudoscientific hoaxes at a time when, according to Tribbles, “the scenario played right into Barnum’s time-honoured formula for drawing crowds: when doctors disagree, who shall decide?”. How Can We Take Science Out of its Ivory Tower?